‘Gracias’ means ‘Thank you’ in English, so appears to be an unusual name for a city, but its origins are very intriguing. The best version of how it got its name is the fact that Lempira (which actually means lord of the hills) is the mountain region that the city is situated in. This region was given the name, after the Lencas War Chieftain of that name who led the fight against the Spanish Conquests in the 1530’s. Therefore the country was saying ‘Thank you’, Lempira or ‘Gracias’, Lempira. Another version is that, when the Spanish explorers reached this flat area, after months of trekking through the mountains, they said “Thanks for flat land”. This explanation is far less interesting and without any solid evidence too. Gracias is a ‘colonial’ city, being one of the oldest in the country and therefore has great importance to the heritage of the entire country of Honduras. The most prominent structure in the region is Fuerte San Cristobal Fort,which is an amazing white coloured building that overlooks the city and surrounding area. The fort was originally constructed for military use, but was never used for that purpose, but protected the city, especially from all the hoards of miners who lived in the mountain region at the time. It is a lengthy walk to get there, but definitely worth it, as the panoramic views are impressive. An afternoon stroll around the city centre uncovers many interesting things and all within a short distance from each other. A good place to start would be the oldest church in Gracias; Iglesia Las Mercedes, which dates back to 1611. It is an impressive white building with gated gardens to the front and famous bell towers, which still houses a couple of large brass bells. Inside contains sections from the original church, plus an alter and icons. Stood next the famous bells provides a good advantage point over the city. Other churches in the city are Iglesia San Marcos, San Sebastian, Santa Lucia and San Marcus, all having their own unique charms. The city square or Central Plaza as its know is the main meeting place for the older men to gather. It is a great sight to see them all, most wearing their ‘cowboy hats’, it romantically reminds visitors what part of the world they are actually in. Increasingly, it is also being used by the younger generation too, in fact the main cafe there provides free Wi-Fi for them. It has a park, seating areas, food and drink, so locals and visitors alike, can soak up the smells, noises and atmosphere of this colonial city. Nearby is the city indoor market, which is the ‘heart beat’ of Gracias with row after row of goods of all kinds for sale; from vegetables, fruit and meat to clothes, household goods and cigars. Visitors cannot help feeling a part of the city whilst there and to increase the experience, eat in one of the traditional cafes too. The locals are extremely friendly and welcoming, as they greet visitors first and not the other way around, which is unlike many other destinations around the world. A very popular shop is Lorenoliana, which is close to the market and sells hundreds of local produce in ether pickled, sauce or frozen form. The colours, aroma’s and flavours are vibrant, but when a local classifies something as ‘hot & spicy’ they really mean it!!! There are many bars and restaurants in the city centre serving a lot of traditional food, but there are also modern European style venues too. There are also unique small bars that are simply adapted homes. The entrance is their front door, the dining area is the bar, the toilet is the toilet obviously and garden is the outdoor drinking area. The locals who do this still live a relatively normal life in these premises, but open them up to people who want to eat and drink as they do. 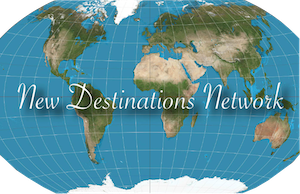 There are many hotels and a variety of other accommodation styles throughout the city and surrounding area. 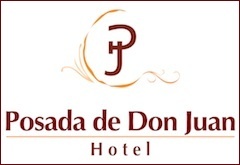 A very popular chose is the Hotel Posada De Don Juan, as it is centrally located, well equipped , has comfortable bedrooms, pool, restaurant and bar. The city is very compact, so access to everything is easy, but if transport is needed, get one of the many ‘Tuck-tucks’;which are cheap, safe and a bit of fun too. Venturing not far from the city and there are many places of stunning natural beauty, spectacular scenery and with an abundance of wildlife. The Botanical Gardens has a collection of trees and plants from Cuba, Spain, France, Brazil, Mexico and obviously Honduras too. There is also a small museum, so visitors can get to know more about Honduran history and heritage. Combine the two aspects of this place and it is a great location to walk, learn and rest. Aguas Termales Presidente is close to Gracias and is a very popular venue of hot springs and pools, which are set in beautiful natural surroundings. They are used by locals and visitors alike and is a great place to go for either health reasons or just a bit of fun. Punto Mas Alto De Celaque is the highest point in Honduras, standing at 2,845 meters and is a part of Celaque National Park. There is now a road, footpath and cycle track from the city to the park or take a taxi, tuck-tuck or go on a tour. It has natural landscape, a large variety of flora and fora, wildlife, information centre and a number of paths and walkways. Whilst in the park try and meet Aliaudria, an elderly Hondoran lady who has lived there nearly all her live. Living a very basic life style and in natural surroundings, this unbelievable women is the only person (with the occasional visit from her two sons) allowed to live in this protected area. She welcomes visitors to her humble shack and gardens and is very proud of how clean she keeps it and of her independent existence. 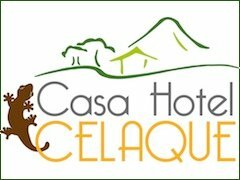 Casa Hotel Celaque, which is situated on the road to Celaque National Park, is not only a sublimely peaceful hotel, but was constructed from natural materials. This hotel has managed to provide the feeling that guests are not staying in a hotel with amazing mountain views, but actually living in the mountain itself. The extra dimension to this venue and affiliated educational establishment is that it provides opportunities for school children from poorer backgrounds. If they carry out part-time extra studies for 3 years, they can obtain a Hotel and Tourism Certificate, which enables them to be employed in the venue itself or elsewhere. Bird watching is increasingly becoming a mayor attraction to not only Garcias, but the whole of Honduras, which is due to the large amount of species there, especially the indigenous ones. ‘Beaks and Peaks’, which is far more than just a Tour Company arranges a number of trips for individuals and organisations. They are also involved in a variety of bird related topics and projects, such as; education, conservation and events. 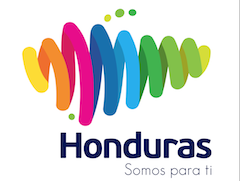 This city is probably the best example of a Honduran city, as it has actually been one for longer than any other. 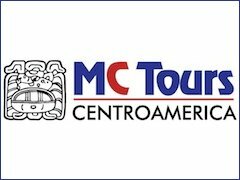 It has kept so much of its history and heritage that it is everything expected of a Central American city. It also has the reputation of being the ‘safest’ of all cities in Honduras, not just from visitors, but from within the country itself, which is a comforting and relaxing frame of mind to be in whilst there. Gracia, Lempira may mean ‘thank you’ to a hero for fighting against invaders or for being a ‘flat’ location to settle in the mountain. Either way, visitors leave this traditional colonial city saying ‘THANK YOU’ to the people and the place itself, for providing a unique look into the unique heritage and life-style of Honduran life.